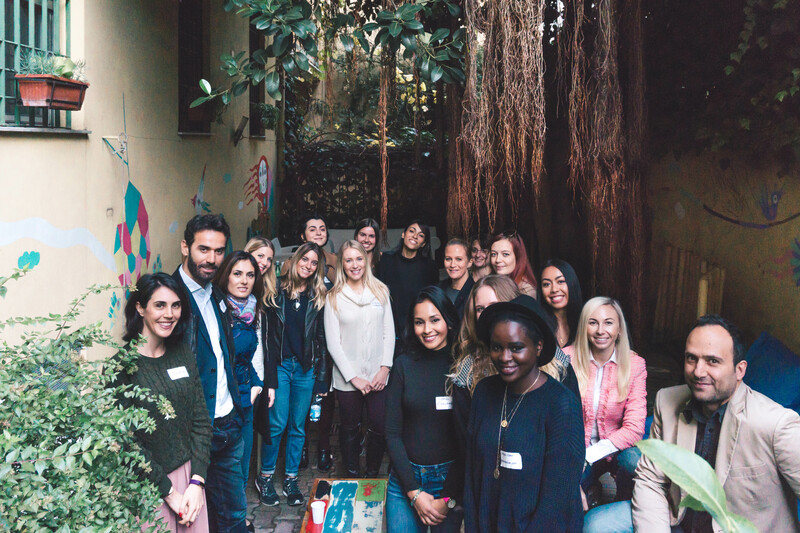 This past Sunday, November 20th, the second Rome Bloggers meet-up was hosted by co-founders, Estrella Gomez, LaCasabloga and Jared Chuba, What If We. It was our first meet-up with a guest speaker and we were so lucky to have Zoey Arielle speak. She has quickly become a well-known online public figure, due to the success of her YouTube channel, where she makes videos on topics such as minimalism, veganism, and other lifestyle topics. Zoey spoke to us about her journey on YouTube, and why she decided to a create a channel in the first place. She is originally from Vancouver Island, BC, Canada, but like many of us at the meet-up she decided to leave her home country to pursue a new life in Rome, Italy. While many of those in attendance are primarily bloggers at the moment, and haven’t yet ventured into the world of running a YouTube channel, the majority were interested in starting their own channel and seeked Zoey’s advice on how to do so. She also touched upon her work here in Italy, which includes being a digital nomad of sorts, as she balances YouTube along with also having several freelance clients for whom she provides digital marketing for. The meet-up was a great opportunity for bloggers to get to know one another and network. A huge thank you to The Beehive, a cozy, intimate hostel owned by an American couple, Linda & Steve, who have now lived in Rome for over 15 years! Again, many thanks to Zoey Arielle, for speaking to us about her journey in the digital space and inspiring many others to do the same. Cool to see you are so active and sharing knowledge! I’m in Rome from 27.12.-04.01., is there any meetup happening among bloggers or digital nomads? Thank you for reading this post! We are actually not having our next meet-up until mid-January unfortunately. If you are ever back in Rome, we would love to have you at a future event!